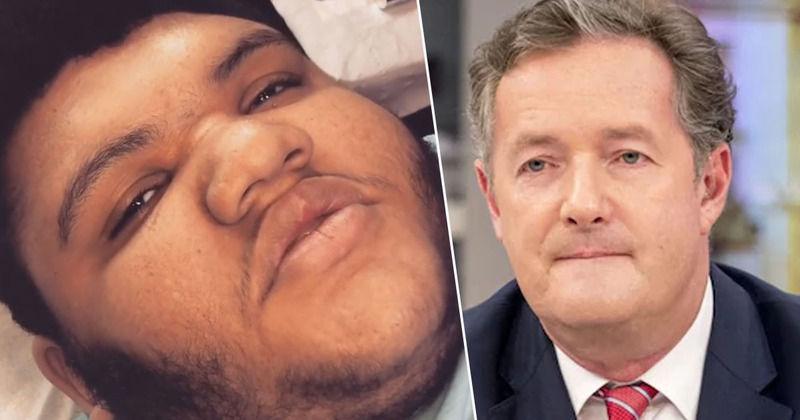 It’s been three years since Harvey Price addressed his trolls as ‘c*nts’ – but now he’s back and with a vengeance for Britain’s Marmite TV presenter, Piers Morgan. In a video posted to his own Instagram, Harvey, who is now 16-years-old, is prompted by Katie to talk about his appearance next Monday on Good Morning Britain. More specifically, Katie explains that Harvey is about to have a facial. Harvey asks if his impending facial is to prepare him for Loose Women on Monday, but Katie quickly explains that it isn’t Loose Women, but instead, Good Morning Britain. I’ve already explained that, I know, but it’s just what they say in the video. She then asks Harvey: ‘Who’s gonna be on the show?’ and when Harvey confirms that it’ll be Mr. Morgan himself, she asks him what he’s going to say to him. Alright Piers you sh*t banter. Harvey confirms with a subtle ‘Yes’. The video goes on for a little longer but to be honest the glory moment is that little snippet of definitely not pre-rehearsed comedy at the start. Either way, Monday’s interview with Piers is going to be interesting alright.